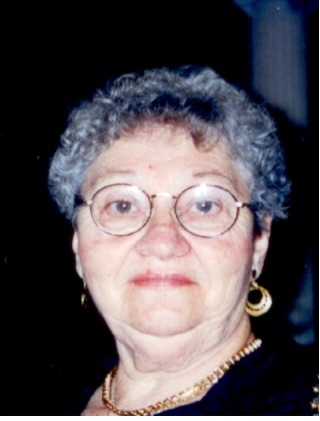 Mafalda L. Chiccarelli, 82, of Milford died Tuesday, February 28, 2012 at Countryside Healthcare in Milford. Born in Milford, she was the daughter of the late Leonardo and Felicia (Beccia) DeCapua, and was a graduate of the Sacred Heart School. A former California resident for over 50 years, she had worked in quality control for Burtons Distributors in CA for 20 years. She was a former member of the ITAM Bocci Club, and enjoyed knitting and crosswords. While in California, she was very active in her sons sports, in her church circle, and the Italian Women’s Club. She never missed a Sunday pasta dinner, could beat anyone in Jeopardy, and was a 2nd mother to her grandchildren. Devoted wife of 62 years to Samuel J. “Chic” Chiccarelli, she was the loving mother of Gary J. Chiccarelli of Milford, Glenn M. Chiccarelli of CA, Gerry Chiccarelli of CA, and the late Gregory J. Chiccarelli. Dear sister of Antoinette Grillo, Yolanda Collins, and Pacifico DeCapua of Milford, and the late Mary Amantea, Lucy Alfonse, Richard DeCapua, Annmarie Cane, and Jenny Vereer. She is also survived by 9 grandchildren and 10 great-grandchildren. Relatives and friends may gather on Saturday, March 3, 1012 at 10AM at the Consigli-Ruggerio Funeral Home, 46 Water St., Milford, followed by a Funeral Mass at Sacred Heart of Jesus Church at 11AM. Burial will follow in Sacred Heart Cemetery. Visiting hours at the Funeral Home will be on Friday evening from 5-8PM. With my deepest sympathy. With love to you and your family. Muffy, you made the best Eggplant I've ever tasted. We will miss you dearly. RIP. Muffy, Your Sunday dinners were the best in Downey, All my brothers were friends with your sons, as I was too. You and Chic Sr. were a big part of my childhood, and the Saunders regret not knowing of your passing til now. I know heaven opened the gates for you, and you were the strongest woman, and sweetest to us kids. Im sure you will be missed.